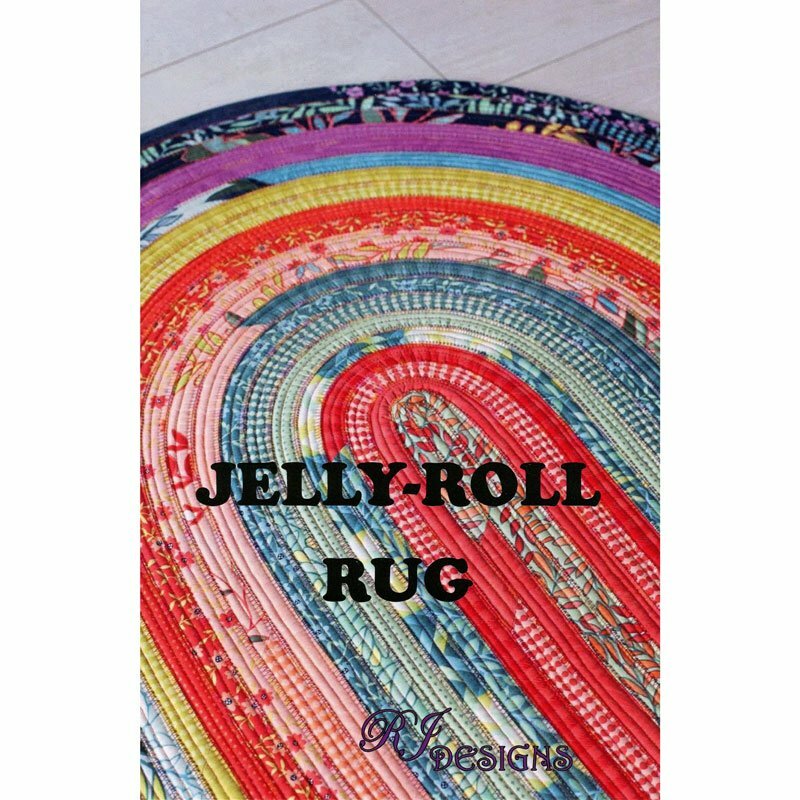 One Jelly Roll Rug Pattern - Oval or Rectangle. I will show you how to make both rugs. If you select the oval rug BEFORE the class, join the jelly roll pieces end to end like you would for binding and trim the ends to form one 50 yard strip - then roll it up, loose enough to put a dowl through it. If you are cutting your own batting, join all of the batting strips together to form one 50 yard strip. It is recommended to sew the jelly roll together in the order the company rolled it. Some say it looks best to have the lightest strips in the middle and then get darker to the outside. Additionally, I think the outside of the rug looks best if the final color goes all the way around, which means you need three strips of that color. You might have to go into your stash for that outside color. One 50 yard Jelly Roll batting pack or two 25 yard Jelly Roll batting packs OR enough 2 1/2” batting strips to make a 50 yard strip. (I found cutting my own to be extremely time consuming and I still have fuzz on my cutting mat. And sewing them together is equally tedious – don’t recommend.) BEFORE class, you might want to cut your batting into 44" strips. You will not be able to finish the whole rug during the 4 hour class, but you'll learn how to finish it on your own. Basic sewing supplies: sewing machine in good working order, sewing machine manual, scissors, rotary cutter, mat, pencil, pins, needles, seam ripper, ruler, thread – LOTS of thread. And wonder clips are helpful as well.